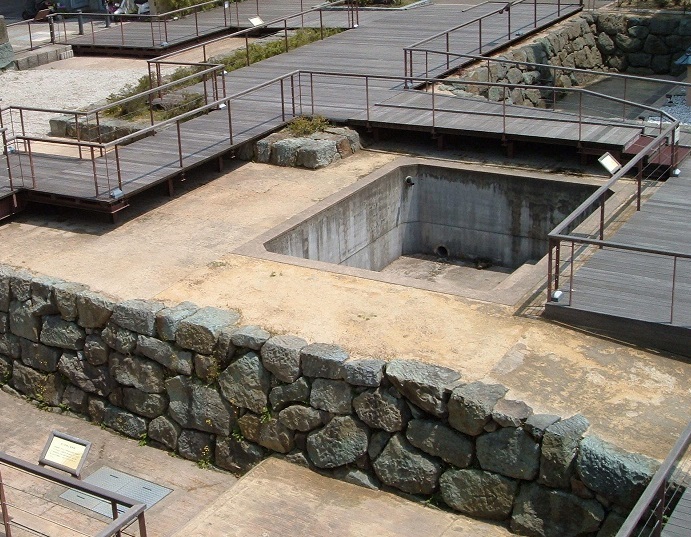 It was destroyed with its residents Shibata Katsuie and Oichinokata when Hashiba Hideyoshi attacked it. 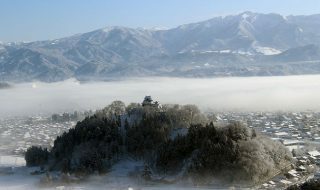 Kitanosho Castle used to stand in Chuo, Fukui City, Fukui Prefecture. Oda Nobunaga’s retainer Shibata Katsuie received it for his achievement of suppressing Ikko riot after the Asakura family got extinct. 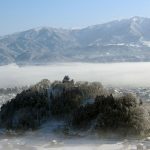 In the 3rd year of the Tensho period (1575), he rebuilt the castle. 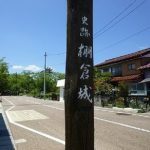 After that, he extended the territory to Noto and Ecchu as an Hokuriku Region agent of the Oda family. 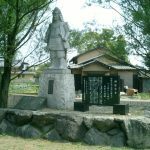 After Uesugi Kenshin in Echigo died, his heir Uesugi Kagekatsu fought with Katsuie on Ecchu Province. 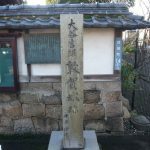 Meanwhile, in the 10th year of the Tensho period (1582), Oda Nobunaga was killed by his man Akechi Mitsuhide in the Honnoji Incident. 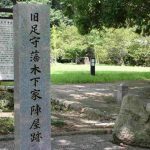 Katsuie made peace with the Uesugi family to go back to his main base Kitanosho Castle to take revenge of Nobunaga. 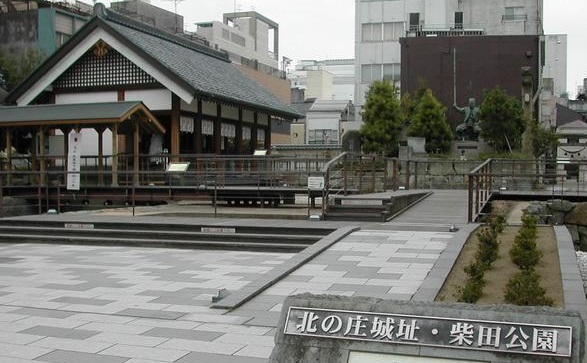 While he was preparing to go to Kyoto in Kitanosho Castle, Hashiba Hideyoshi, the Chugoku Region agent, defeated Mitsuhide in the Battle of Yamazaki. After that, Hideyoshi and Katsuie conflicted with each other hard. 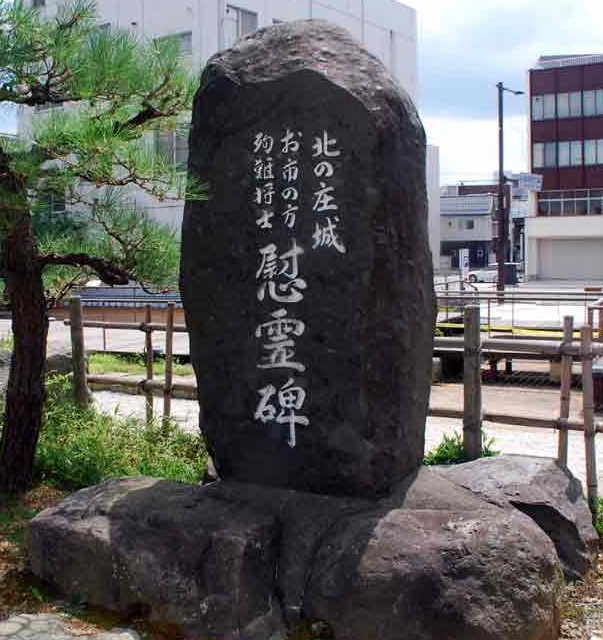 In the 11th year of the Tensho period (1583), they fought in the Battle of Shizugatake and Katsuie was defeated. 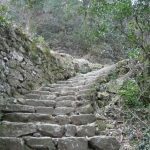 He committed suicide with his wife Oichinokata in Kitanosho Castle. After his death, Aoki Kazunori got in charge of the castle. 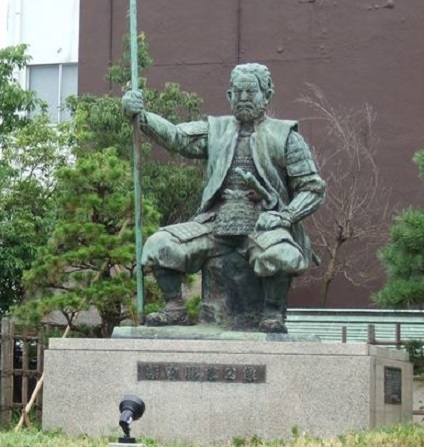 Later, it became the time of Tokugawa Ieyasu. 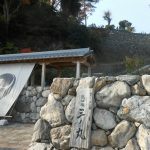 In the 6th year of the Keicho period (1601), Yuki Hideyasu rebuilt Kitanosho Castle where the old one stood, so there are few traces of Katsuie’s castle. 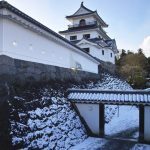 After that, Kitanosho Castle was renamed Fukui Castle and lived by the Matsudaira family with 680000 kokus estate until the end of the Edo period. 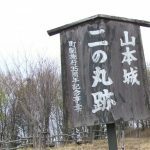 In addition, the ruin of Shibata time is used as Shibata Park.